3Doodler is an American company that provides 3D pens and consumables for these. 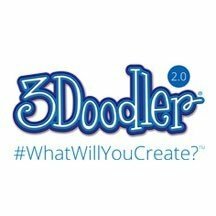 3doodler pens enable you to make creations in 3 dimensions using a simple pen. 3Doodler pens are aimed at children as well as creative people. You'll find lots of accessories to enhance the use of 3Doodler here.